Holcim Philippines is looking to increase its consumption of non-recyclable plastics as alternative fuel to help the country in its waste management efforts. Building solutions provider Holcim Philippines, Inc. plans to be a stronger partner in addressing the country’s plastic waste challenges by using more such materials as alternative fuel in cement production. A recent report released by the United Nations Environment Programme showed that the Philippines along with China, Indonesia, Thailand, and Vietnam accounts for more than half of plastic wastes that end up in the world’s oceans. For the Philippines, several groups have backed the use of waste-to-energy technologies as a way to lessen its plastics leaking to oceans. 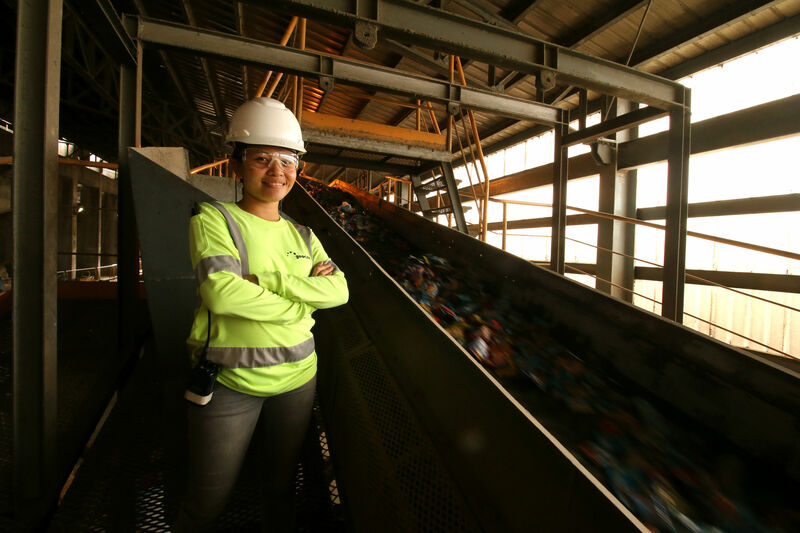 While primarily known as a cement maker, Holcim Philippines is among those with the technology that contributes to the reduction of the country’s plastics problem. The company uses co-processing technology, wherein qualified materials such as non-recyclable plastics are used as an alternative to coal in making cement, through its waste management unit Geocycle. Since Geocycle started operations in 2010, Holcim Philippines has co-processed more than 25,000 metric tons of plastic wastes from various industrial partners and local governments. The practice reduces the company’s traditional fuel consumption while providing a sustainable waste management option that helps lessen plastic wastes ending up in landfills and oceans. In co-processing, waste materials like plastic are fed into the high-temperature kilns along with other raw materials of cement. This process completely eliminates the wastes and converts these to energy for cement production. The technology is approved by the Philippine authorities and is widely used all over the world for waste management due to its proven advantages in environmental and safety performance. “Holcim Philippines is a committed partner in the country’s development and we are contributing more beyond building materials. Our Geocycle business is a clear example as it helps alleviate the country’s waste management challenges, which is expected to grow along with the economy,” he added. Geocycle is looking to have pilot projects with a number of local governments in 2019 to demonstrate the advantages of its waste management service over current alternatives such as landfilling.